Written by Charlotte Ochs. Updated Jan 19, 2019. When President Trump signed the Tax Cuts and Jobs Act (“TCJA”) into law a little over a year ago, he enacted the most sweeping update to the U.S. tax code since the 1986 tax reform enacted under President Reagan. As the centerpiece, the TCJA permanently reduces the corporate tax rate from 35% to 21%. This reduction creates the potential for businesses to see a significant increase in the benefit realized from claiming a research tax credit as it relates to IRC Section 280C. Therefore, plugging the new max corporate tax rate of 21% into the formula, the reduced credit equals 79% of the credit as opposed to 65% prior to the enactment of the TCJA. To take advantage of the increase, your business should be planning ahead to file the R&D Tax Credit with an original return either on time or on extension. Prior to December 18, 2015, businesses could only offset ordinary income tax liability, not AMT liability, with the R&D Tax Credit. In 2016, The Protecting Americans from Tax Hikes (PATH) Act allowed businesses with 50 million or less in average gross receipts for the preceding three years to utilize the R&D Tax Credit against their AMT liability. With the enactment of the TCJA, AMT was repealed for corporations. Businesses that were prevented from using the R&D Tax Credit due to AMT prior to the TCJA no longer have that barrier. Currently, businesses can deduct their R&D expenditures in the years they occur. However, starting after 2021, taxpayers will be required by the TCJA to amortize R&D expenditures over 5 years, including expenditures for the costs of software development. Also, research conducted outside the U.S. will be amortized over 15 years and still cannot be included in the R&D Tax Credit. Furthermore, because of the change in calculation method from research expenses to capitalized expenditures, businesses will be required to file a change in accounting method. Due to the additional burden this could place on taxpayers, this will probably be a point of contention in future tax cut discussions and could potentially be repealed or modified. 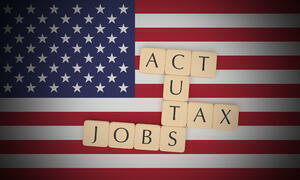 Decreased tax rates and the repeal of corporate AMT could have a huge benefit for your business. If you have been taking the credit, wondering if the credit applies to you, or are now realizing the possibility of taking advantage of the credit, don’t hesitate to work with a Tax Advisor like CTI to explore the benefits. Partner with CTI’s elite tax professionals, allowing our team of attorneys, CPAs, engineers, and scientists with ‘Big 4’ experience to identify which activities are eligible for the credit and what expenses can be used to maximize tax savings for your business. Charlotte has over a decade's experience as an attorney representing individuals, partnerships, and corporations in many areas of federal and state tax law. 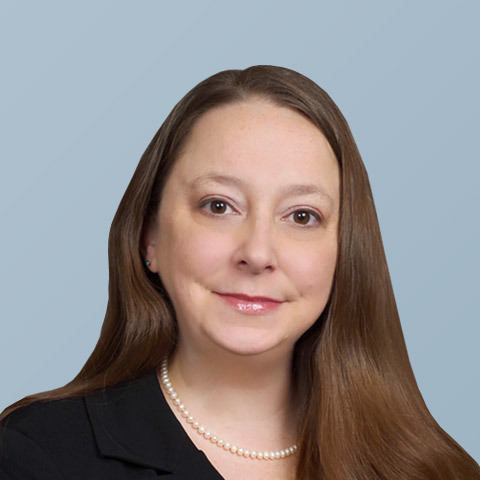 With her Masters in Tax Law from the University of Houston and a license to practice before the United States Tax Court, she has successfully defended taxpayers in IRS proceedings from across several industries.